Rye MS Cookies are Now Bag-free to Reduce Plastic Waste! Rye MS creative usage of unrecyclable chip bags ! Why food composting can save Westchester’s taxpayer money, big time! 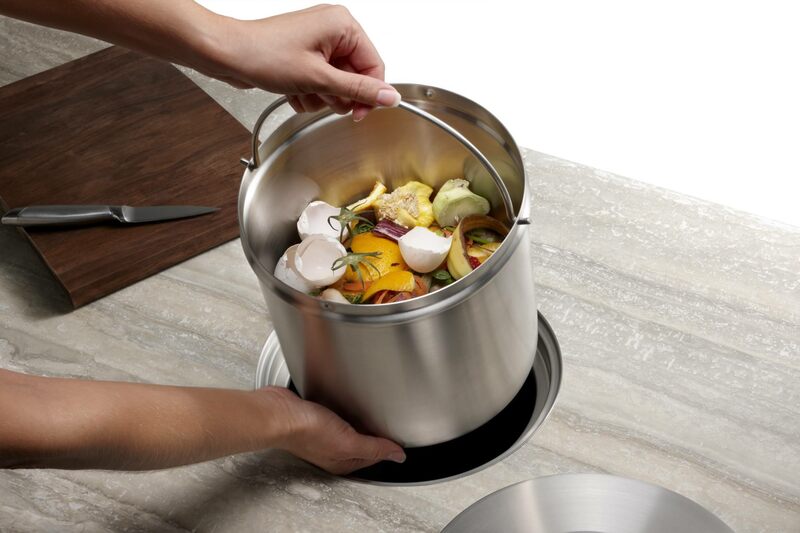 Food waste is around 40% of all waste from households, it is made up of mainly water, thus it is heavy. Garbage cost is calculated by weight. So all this water is costing the tax payer dearly. Westchester’s garbage is being collected by the municipalities, brought to one of the several transfer stations within the county and from there it is transported in big trucks to the incinerator in Peekskill. So basically, we are using fossil fuels (garbage trucks get about 2.6 miles per gallon of diesel fuel) to truck water 50 miles north? The far better solution would be to sort out all that water laden food waste and actually compost it. Combine food waste with yard waste and nature will give us black gold, aka compost. or a commercially available one like these. And the rest is done by mother nature. Turning the mixture once in a while will introduce oxygen and thus help the bacteria to do a more efficient job. A few weeks later you will have lovely compost that can be used in your garden. 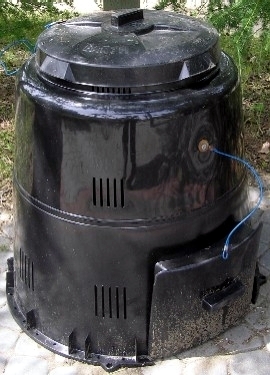 Most people are afraid that composting will be smelly or attract rodents. With all in life, if it is done right, there is none of that. Rye Middle School launched the We Future Cycle sorting program in their lunchroom on October 29, 2019. Sorting is now the new normal for these students. The results of the first week were amazing: out of a total of 725 pounds of total waste coming out of the lunchroom, 700 pounds was diverted into recyclable and compostable streams. They realized a 97% reduction in the amount of trash produced! After 4 months, We Future Cycle conducted an audit of the RMS lunchroom and the results have been consistent…RMS realizes a 97% daily reduction in the amount of trash produced! Great job RMS!! Rye Middle School Science teacher John Borchert has been a steady supporter of WFC’s recycling efforts. Thank you! For years, he and colleague John Griffin have recycled plastic water bottles to support a school garden. After the WFC sorting began in the lunchroom, his students, Lila Byrne and Natalie MacDonald, added this amazing turtle to the sorting station to help call attention to the animals that are effected as a consequence of our actions. The girls created the turtle’s interior out of plastic bags covered by homemade paper cache and made the shell out of water bottle caps. They even added a great fact sheet: “Problems Facing Turtles Today and How You Can Help”. Fantastic job girls!!! Some of New Rochelle’s buildings have these stylish water fountains, where kids got a little cup if they wanted a drink. New Rochelle Davis Elementary School decided to do something about these 1000 of paper cups and and under the leadership of Principal Anthony Brambrola and the PTA, every child was supplied with a reusable water bottle, decorated with the Davis Dolphin to encourage reusable rather then single serve when it came to going to one of their temporary water dispensers in the hallways. This has cut down on the usage of literally thousands of small paper cups per day. Thank you Davis PTA for investing not only in the water bottles, but also bringing this kind of sustainable thinking to the fabric of the school. We Future Cycle had the pleasure of taking the 4th and 5th grade students of Jefferson Elementary School in New Rochelle on an environmental Scavenger Hunt. The students were eager participants and it was a huge success! 12 colorful boards were highlighting a series of environmental problems with some shocking data and pictures. Students read through the “Did you know?” posters and and while searching for clues, learned many details about their impact on the environment. The students would scavenge through all of the information and find the answers to the questions on the questionnaire. We Future Cycle representatives guided students through the activity, helping them with difficult words and inviting them to think deeper into the topic. Students were very proud to finish the questionnaire and had a lot of fun while learning a great deal. Even though the activity was geared toward 4th and 5th grade, some 3rd graders were very excited to participate …. Bringing environmental education through play to the students will ensure the longevity of the recycling program that is run in the lunchroom. Every day, students carefully sort their lunchwaste into compostable, recyclable and non recyclable materials, thus diverting a whopping 97% of their waste from the trash. Because if the heart knows why something is done, it is easy for the hands to do it. 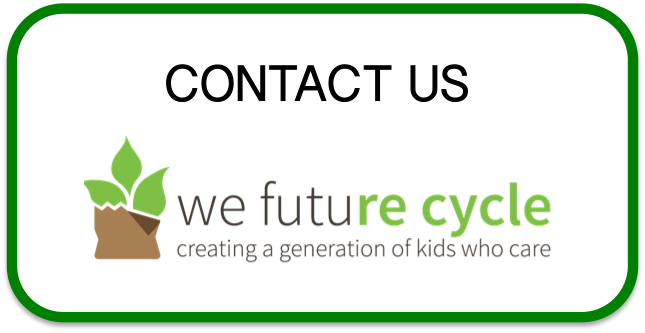 New Rochelle School District is running the We Future Cycle recycling program for over 6 years now, working its way up the grades. First all the elementary schools then the middle schools and lastly the highschool 2 years ago. Together, 11.500 students are sorting their waste every single day. In the lunchroom and in their classrooms. Isaac E Young MS has a vibrant Green Team and under the leadership of their Green Team coordinator as well as the head custodian William Coleman, a well oiled recycling machine was created. 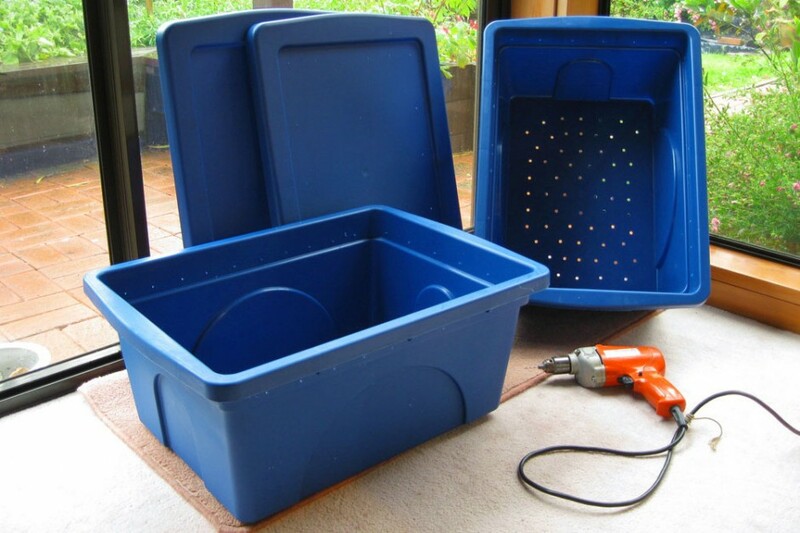 Twice per week, teachers put out in the hallway their blue and green recycling bins with carefully sorted materials. Green Team students grab large rolling toters and go from classroom to classroom to collect the materials for recycling. It creates ownership of the process for the building, the custodial staff appreciates the help and is sponsoring a pizza party for green team members on a regular basis and the kids feel empowered to be part of the solution. A win-win all around. We Future Cycle is proud to be part of this process. White Plains School district has adopted the We Future Cycle recycling program 4 years ago and most of their elementary school population has now seen only to carefully sort their lunchwaste into compostable, recyclable and non recyclable materials. Achieving everyday a 97% reduction. Post Rd was particularly successful reducing its garbage from 277 lbs per lunch to a mere 5 lbs. Here is a picture of the proud principal Jessie Ossorio after the first lunch with just one fluffy little bag. Post Road elementary schools bright and inviting lunchroom welcomes 2 grades at a time to the right and the left of the center aisle. Each grade has their own recycling station and students are invited by the head custodian Rob Dell’Orletta to come up and help at the station, once done with eating. And boy…. do they take him up on that offer. Every single lunch period, especially the littlest grades are eager to help and shoulder to shoulder they are standing to help their classmates through the process. Mr Dell’Orletta just smiles and confirms that this is an every day event. It is heartwarming to see these eager faces, their unflinching commitment to the cause, calling Mr Dell’Orletta over when a classmate made a mistake and they cannot reach the offending material to remove. When I asked them what they were doing, they answered “we are saving the world”, and sure thing! that is what these troopers are doing, every single day. We Future Cycle is in the process of bringing its lunchroom recycling program to Rochambeau, White Plains Alternative Highschool Campus. Recently we presented the program to the staff in the media center and the librarian shared with us just how easy it is to make the switch away from single use straws. She showed off her reusable cup with her metal straw. Seeing a video about a plastic straw being removed from the nose of a loggerhead turtle was setting her into motion to research reusable straws and with just a few clicks on the internet found just how affordable they are and how easy they are to clean and to transport in one’s purse. Being environmentally responsible is not rocket science, it just takes a tiny little bit of planning. We all make sure we have our wallet and our phone with us at all times, it is no stretch to include our reusable straw in its tiny carrier and our reusable bags that fold into a tiny ball. Yes, we can do this. And this teacher shows just how easy it is. New Rochelle Barnard students are fabulous waste sorters. The whole school populations has never seen anything but carefully separating their lunch waste into excess liquid, food waste, and recyclable and non-recyclable packaging. Students know to walk up to the recycling station after lunch and sort their left overs, under the caring and watchful eye of Nick, the lunchroom cleaner. Recently, We Future Cycle presenters were invited to play some more with the students all around sustainability and material identification. Knowing what is recyclable and what not is the key to doing it right. Wishful recycling, as in just putting stuff into the green bin, is actually counter productive and creates many problems at the material recovery facility in Yonkers. Students sat in front of a large pile of common packaging material of all types and were playfully “helping” the presenter to place the items into the correct bin. Most rigid packaging materials made out of plastics, aluminum, carton or glass are fully recyclable in Westchester County. We Future Cycle shared with the adults in the room that Styrofoam contains Styrene, which is now a classified human carcinogen and banned in New York City, with legislation on the books in Albany to make it a state wide ban. Students also learned that it is easy to avoid making trash. We Future Cycle presenters shared with them just how much they personally did not like to create trash. Students learned that -oh big surprise- gold fish taste the same if they are packaged in a plastic zip lock baggie or in a reusable container. After learning about where the trash goes and that baggies end up in the trash, every single one of them responsibly voted that reusable containers are a much better choice for our world. A harder sell were juice pouches. Juice pouches are one of the worst packaging offenders in existence. Valuable aluminum foil is sandwiched between two layers of plastic. Unrecyclable and thus adding to the whopping 2500 tons of trash generated in Westchester County every single day. All for 2 min of sugar laced drink. Students learned and agreed, that a reusable water bottle is a much better idea for our world.